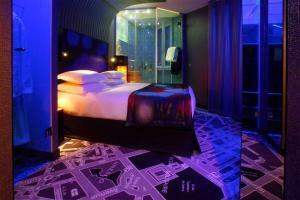 Just a 15-minute walk from the Eiffel Tower and opposite Sèvres-Lecourbe Metro Station is Sublim hotel. 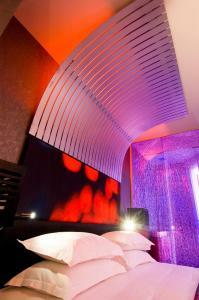 It offers stylish rooms and a relaxation area with a hammam and offers massages using essential oils. 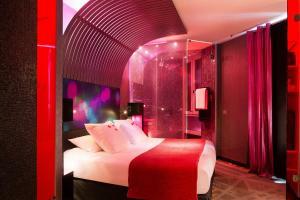 Decorated in pink, blue and green tones, the contemporary rooms at Sublim Eiffel feature free WiFi access and a rainfall shower. 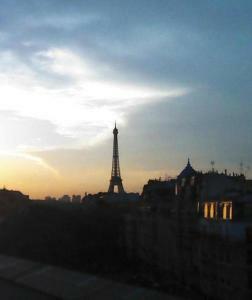 Some rooms have a private balcony and offer a view of the Eiffel Tower. 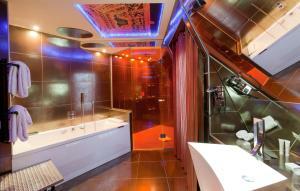 The suite offers a balneo bathtub. With an additional cost, a buffet breakfast is available every morning at the lounge bar, and a continental breakfast can be enjoyed in the guest rooms. 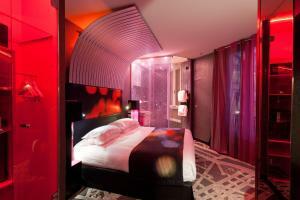 The hotel bar is furnished in black and orange glass and fabrics, and serves drinks and aperitifs. 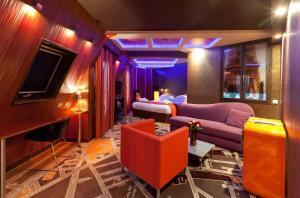 Other facilities include airport transfer at an extra cost and concierge service. 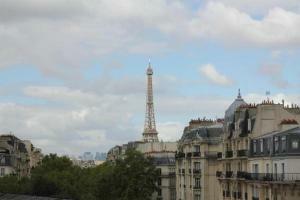 Local transport links lead directly to Montparnasse and Trocadéro, which offers the best view of the Eiffel Tower. 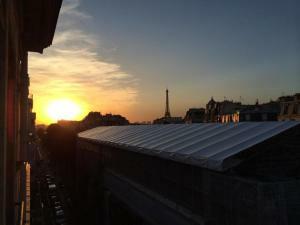 Guests can also walk to Hôtel des Invalides or Ecole Militaire in 10 minutes. Please note that for all reservations with prepayment, the credit card used for the booking will have to be provided at upon arrival. If you can't provide it, please contact the hotel directly to avoid a new payment during check-in. Please note that for the Breakfast Included rate, a continental breakfast is provided. Guests are required to show a photo identification and credit card upon check-in. Please note that all Special Requests are subject to availability and additional charges may apply. A damage deposit of € 100 is required on arrival. This will be collected by credit card. You should be reimbursed on check-out. Your deposit will be refunded in full via credit card, subject to an inspection of the property. 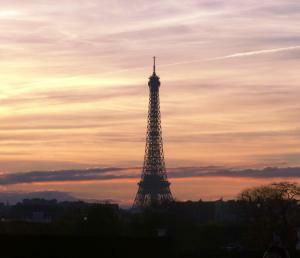 Please inform Sublim Eiffel in advance of your expected arrival time. You can use the Special Requests box when booking, or contact the property directly with the contact details provided in your confirmation. 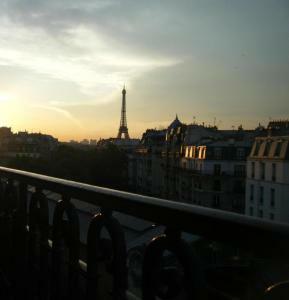 Wiht a balcony offering a view of the Eiffel Tower, this suite consists of a bedroom and separate living area. 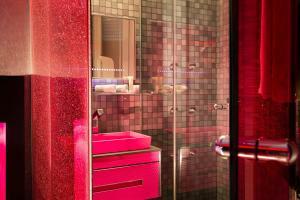 There is a private bathroom with a shower and balneo bathtub. 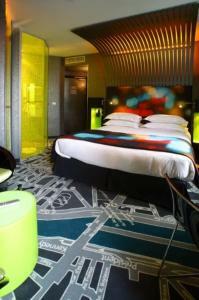 This room also has a sofa bed and can accommodate a third guest. A baby cot can be added to this room. 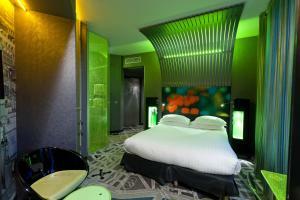 This double room features a minibar, air conditioning and a flat-screen TV with satellite channels. Please note a baby cot is available only for children under 3 years old. 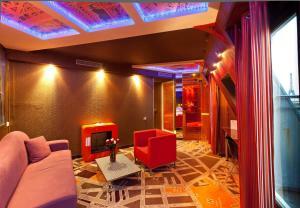 Rate: € 103.20 ... € 339.50; select dates below to get current rates. 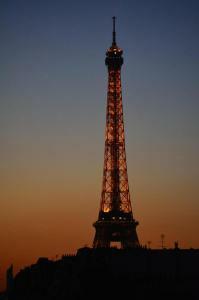 Offering a view of the Eiffel Tower, this double room features a minibar, air conditioning and a flat-screen TV with satellite channels. A baby cot can be accommodated in this room.